Bank PO job is very attractive especially for SBI. Everyone wants to be a bank PO however competition is very tough. Millions of people across India who are eligible, apply for Bank PO jobs however not everyone makes it through. You have to prepare for the written exam and the interview. Bank PO exam for SBI is not an easy job and you cannot make it without prior preparations. In this article we shall talk about how you could get through the recruitment process and get a bank PO job. Usually Bank PO recruitment process in SBI comprises three stages. First one is written exam, second is group discussion and one on one interview. We shall talk about all the three form one by one. The first and foremost hurdle is the written exam. Written exam for a job in any bank is the most difficult part. You need to prepare for the exam long before. 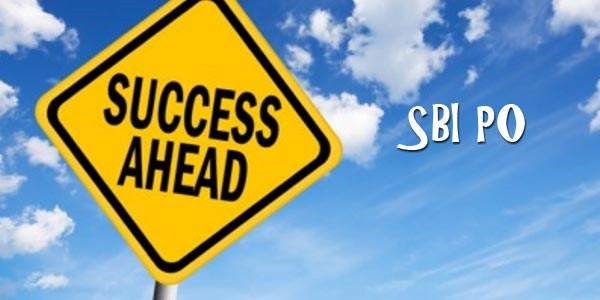 If you want to succeed then you need to know everything about SBI recruitment. Usually the written exam for a SBI bank job is divided into two parts. The first one is objective part which is of 200 marks and descriptive part for 50 marks. Usually objective test is conducted online. The test is 2 hours long and it has 4 sections with 50 marks each. Description test is of 1 hours and it is going to test your command over the English language. They might ask you about comprehension, essay writing and letter writing. Once you are through with written exam you could appear for the group discussion phase and the interview. Group discussion is also known as GD is the most important phase of SBI recruitment. Here are some of tips to get through the Group discussion or GD phase. First thing you can do to impress the evaluator is to start the group discussion. You could be the first to start the group discussion. The impression is really great if you know about a particular and you are in total control. If you don’t know then don’t start the conversation first. Always try to be a team builder. Team work is very important and the evaluator will definitely make note of your team work skills. Do not try to be argumentative; you must know how to put forward your point. Do not get into a fight. I always recommend you to come prepared before you go for the actual group discussion. You can debate with your friends and prepare yourself. The final phase is the interview. If you are successful at the interview then you will get the job. Always be confident and answer things honestly. Do not try to act over smart at interview. Interviews are all about personality hence you cannot develop overnight and you have to do that over years and years of practice. For an interview you need to have good command over English hence you need to learn the language. You need to have all the knowledge about a particular subject. So come prepared before your appear for the interview. Over come your inner fears if you want to succeed in an interview. After reading this article you will get an idea how you are going to clear the recruitment process of SBI job. Written exam is the first one and then group discussion and interview. You can start preparing from now on. Thank you… It really helped me a lot.